Mutations in the cardiac Ryanodine Receptor gene (RYR2) cause dominant catecholaminergic polymorphic ventricular tachycardia (CPVT), a leading cause of sudden death in apparently healthy individuals exposed to emotions or physical exercise. We investigated the efficacy of allele-specific silencing by RNA interference to prevent CPVT phenotypic manifestations in our dominant CPVT mice model carriers of the heterozygous mutation R4496C in RYR2. We developed an in vitro mRNA and protein-based assays to screen multiple siRNAs for their ability to selectively silence mutant RYR2-R4496C mRNA over the corresponding wild-type allele. For the most performant of these siRNAs (siRYR2-U10), we evaluated the efficacy of an adeno-associated serotype 9 viral vector (AAV9) expressing miRYR2-U10 in correcting RyR2 (Ryanodine Receptor type 2 protein) function after in vivo delivery by intraperitoneal injection in neonatal and adult RyR2R4496C/+ (mice heterozygous for the R4496C mutation in the RyR2) heterozygous CPVT mice. Transcriptional analysis showed that after treatment with miRYR2-U10, the ratio between wild-type and mutant RYR2 mRNA was doubled (from 1:1 to 2:1) confirming theability of miRYR2-U10 to selectively inhibit RYR2-R4496C mRNA, whereas protein quantification showed that total RyR2 was reduced by 15% in the heart of treated mice. 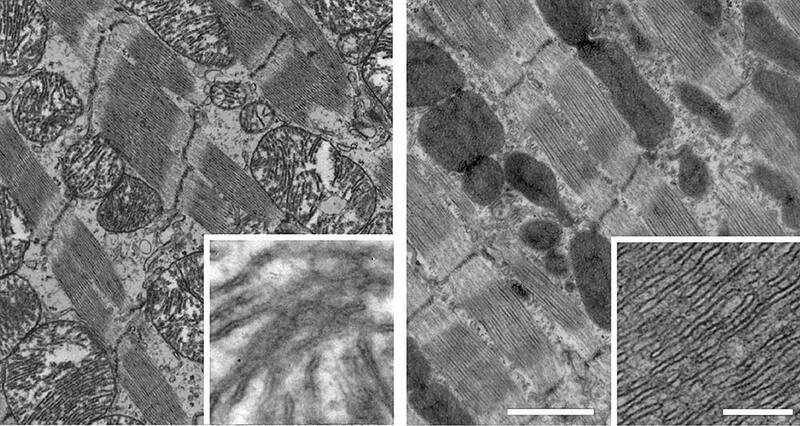 Furthermore, AAV9-miRYR2-U10 effectively (1) reduced isoproterenol-induced delayed after depolarizations and triggered activity in infected cells, (2) reduced adrenergically mediated ventricular tachycardia in treated mice, (3) reverted ultrastructural abnormalities of junctional sarcoplasmic reticulum and transverse tubules, and (4) attenuated mitochondrial abnormalities. The study demonstrates that allele-specific silencing with miRYR2-U10 prevents life-threatening arrhythmias in CPVT mice, suggesting that the reduction of mutant RyR2 may be a novel therapeutic approach for CPVT. Circ Res. 121:525 (2017) doi: 10.1161/CIRCRESAHA.117.310882.